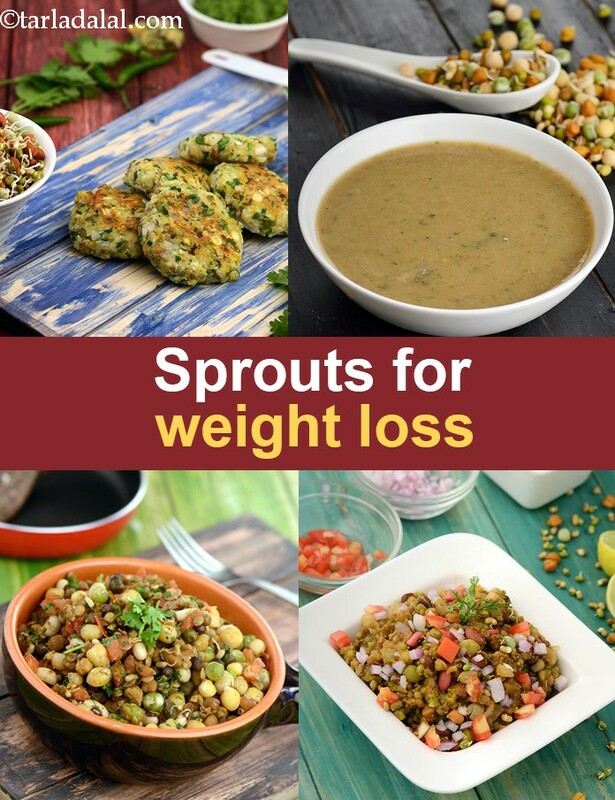 ‘Eat sprouts to lose weight’ is each health practitioners advice – be it a doctor, dietitian or a nutritionist. Losing weight doesn’t happen overnight. It’s an achievement of weeks and months of effort achieved by exercising and eating wisely. Don’t make drastic changes to your diet while trying to lose weight. Begin by adding a few healthy ingredients like whole fruits, veggies, healthy nuts and of course don’t miss out on the living SPROUTS. Sprouts are a good source of protein with lesser carbs. They abound in fiber, vitamins and antioxidants. These tiny germinated shoots help to reduce the belly fat, maintain blood sugar levels and protect your heart as well. They keep you full for long hours thus avoiding that unnecessary grabbing of chips and other fried foods. All you need to learn is how to sprouts firstly. Click here Sprouted and Boiled Moong to watch the video. Secondly, learn to use a variety of sprouts so you don’t get bored of them easily. And, lastly to cook delicious meals – be it Sprouts Pancakes for Breakfast, Mixed Sprouts Parota for lunch or Bean Sprouts and Capsicum Salad for snacks. Explore more recipes using sprouts in this section.